carrots – Cooking with Gabi – all about integrating Fruits & Vegetables into your daily diet! Pesto’d Salmon with Zucchini-Onion & Carrot mix, with Marinated Olives! Who would have thought that I would find awesome fresh salmon at Publix Supermarket for only $5?!!! I ran home and made my own mix with pesto, sundried tomatoes, and a tablespoon of extra virgin olive oil and poured that over the salmon. Using a mandoline, sliced zucchini and onions, and included carrots with black and green marinated olives to cook for approximately 8 to 10 minutes. The aroma from this dish made me quickly plate it, as I just wanted to dive in! The salmon melted in my mouth, and the mix of vegetables with olives ramped up the flavors, making it one of my new best dishes. Check out the plate! “Blessed are those who trust in the Lord, and have made the Lord their hope and confidence.” Jeremiah 17:7. 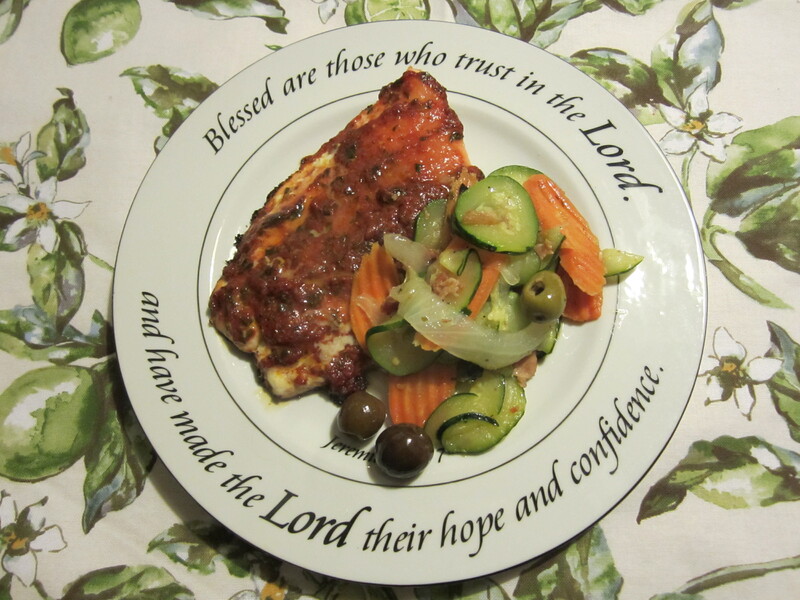 Coventry makes these lovely dishes with beautiful reminders from God’s Word. I love the reminder that regardless of the circumstances of life, that if we put our trust in the Lord, He will sustain us with hope and confidence for the future. Need a natural pick-me-up? 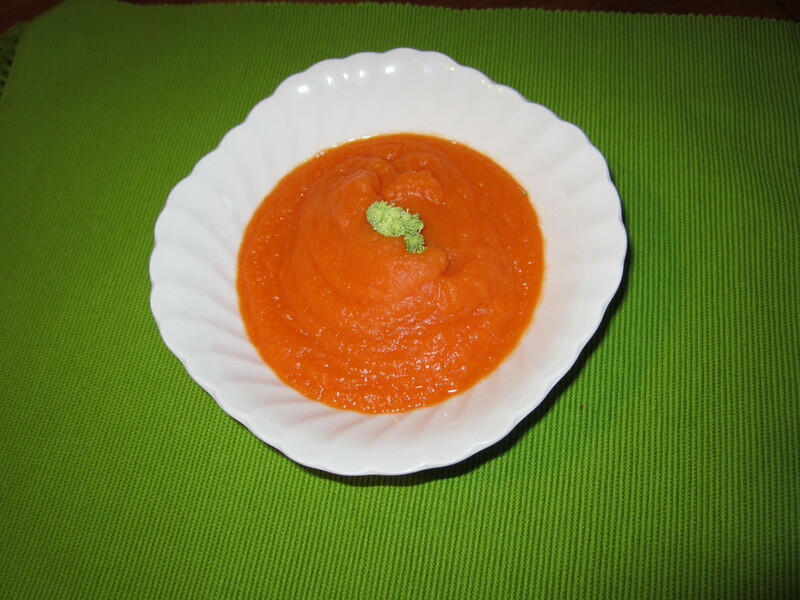 Try my New Carrot-n-Sweet Potato Soup! The chopped carrots went into 2 cups of low sodium chicken broth, which was brought to a boil, adding in the fresh lemon juice. As soon as the sweet potato was done in the microwave, I carefully peeled it, chopped it and in the pot it went, to cook for a good 5 to 10 minutes. This mixture went into a blender, where it was blended till everything was well combined…..and then the taste test….simple but deliciously good!